And the list goes on and on. But have you ever thought about picking carpet as a floor covering to add some color to your interior design? 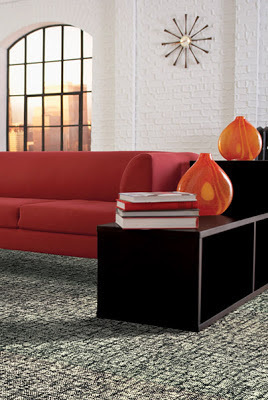 You don't have to be an interior designer to add a splash of color with carpet. (In fact, we offer free design assistance with our in-house design consultants.) You just need to step back and look at your room as a whole. First, think of an overall color theme. Do you want a warm and cozy feel? Would you rather have a cool and sophisticated aura? Are you looking for a more neutral showcase? Or maybe you want to go big and bold? Once you have a theme for your room, you can start looking at colors in those families. 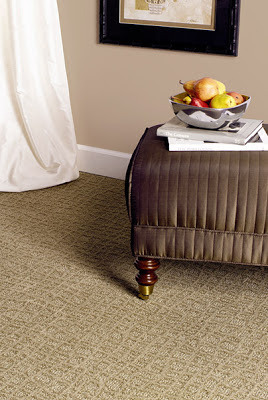 Warm carpet colors: Warm colors range from pale yellows to deep reds. Translating these colors to carpet, you will be looking for browns or rusts. You might also look for a warm beige (think more brown than creme). Or consider a carpet with flecks of browns, rusts or oranges. 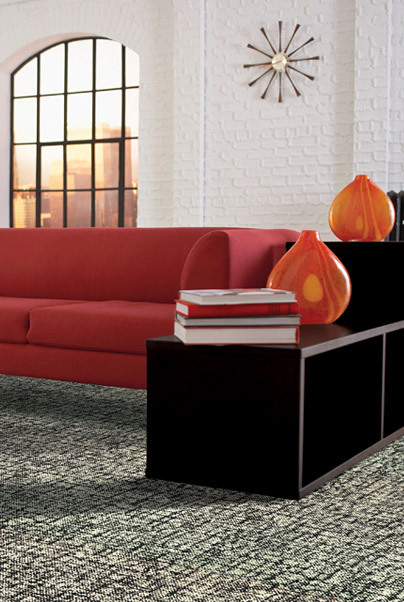 Cool carpet colors: The cool color family includes greys, blues and greens. You'll also want to consider the intensity of the color for this color scheme because a lighter green and a darker green bring a different feel to a room. 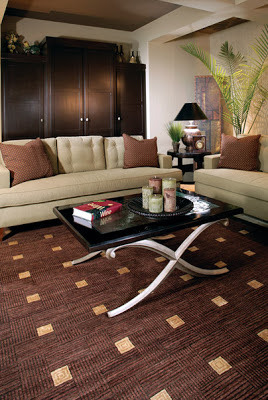 Neutral carpet colors: The most popular carpet choice, neutral colors can be warm or cool. Beiges and tans lean more towards a warm feel while gray plays more of a cool role. Don't think neutrals are boring, carpet comes in many textures and patterns to add a bit of spice to the most beige of carpets. 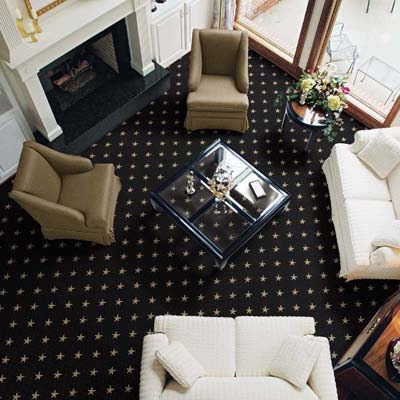 Big and bold carpet colors: Bold, bright colors make a big statement in carpet. You could be looking at bright red, deep blue, stark white or vibrant rust. This color theme will definitely need to work hand-in-hand with your paint and furniture. Ready to get started? As Indianapolis' authorized retailer for HGTV Home Flooring by Shaw, we have all sorts of fun carpet trends ready and waiting for you. 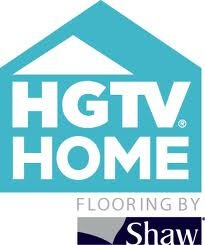 Get started by looking at HGTV Home Flooring by Shaw's color families and then stop by our Indianapolis carpet showroom to talk to our design staff.